Maths and statistics courses will guarantee graduates high-salaried jobs in diverse fields, say professors who spruik the flexibility and real-world applications of their discipline. The shortfall in the number of maths graduates means an honours student can command a salary of $100,000 straight out of university, one expert says. An Australian Mathematical and Science Institute report, released earlier this year, shows that employer demand for mathematical and statistical skills already outstrips supply. Demand is set to increase by 55 per cent by 2020. Yet the appetite for maths at university level remains low. Hyam Rubinstein, professor of mathematics at the University of Melbourne, says mathematicians are “extremely concerned” that high school students aren’t aware of the myriad opportunities that await graduates. In 2007, Rubinstein chaired the national strategic review of mathematical sciences research, which found a shortage of maths graduates would impede business, industry and government departments. He says university departments are trying to educate tertiary students about job opportunities. The problem, he says, is that few jobs have the title “mathematician” in them, making it hard for students to work out where maths can lead them. “But it’s just amazing the diversity of areas that people go into,” Rubinstein says, adding that there is “tremendous demand” for statistics graduates in biomedicine, marketing, finance and as consultants. An honours graduate with almost no experience can earn $100,000 a year. One of IBM’s divisions, business analytics, which aims to optimise business processes, is an example of a business that hires maths graduates. Rubinstein has applied his own knowledge in a creative way as part of a group of mathematicians and engineers developing software to help the mining industry design underground mines. Natashia Boland, a professor in the school of mathematics and physical sciences at the University of Newcastle, has also seen the mining industry scoop up mathematicians. A burgeoning area is working out a mining company’s future equipment needs as miners generally lease rather than own their equipment. Boland says graduates are also needed to plan the logistics of transporting coal and iron ore.
Like Rubinstein, Boland works on projects that use logistics to improve efficiency. She has used mathematics in the health sector to optimise cancer treatment using radiation. The idea was to work out how to zap tumours from a number of angles, while trying to spare healthy tissue. Boland has also used maths to work out the most efficient ways of scheduling airline crews. As crews constantly fly in and out of different cities, scheduling their work is critical. A new area she is researching is mathematical psychology, which uses mathematical modelling to understand memory and decision-making. “One of the things that is so wonderful [about maths] is that it is so flexible,” she says. Australian Mathematical Society president Peter Taylor agrees. “Universities these days talk about generic skills, and what we would say in terms of teaching people problem-solving skills and analytical skills, there is no better way to do it than to do a maths degree,” he says. Taylor says graduates working for industry or the government don’t only do maths but also have to analyse material for reports. Some graduates may need to upgrade their skills while others whose maths was part of a commerce degree may need to upskill. University of NSW professor of mathematics James Franklin says that since the financial crisis, some working in the banking and finance industries have found they need a deeper understanding of maths. “They discovered that maths is useful in making sure the risk is right,” he says. Franklin says openings in fraud detection have also grown. “It’s about looking for unusual data and investigating them further, so you need mathematicians to determine what is unusual,” he says. UNSW offers a masters in financial mathematics, which Franklin says aims to make students’ maths skills “high powered”. Students are also doing research degrees in mathematics to gain a deeper understanding of their subject. Franklin says employers understand this and ask for PhD graduates. The message that maths can lead to a bright future may be getting through to some year 12 students. 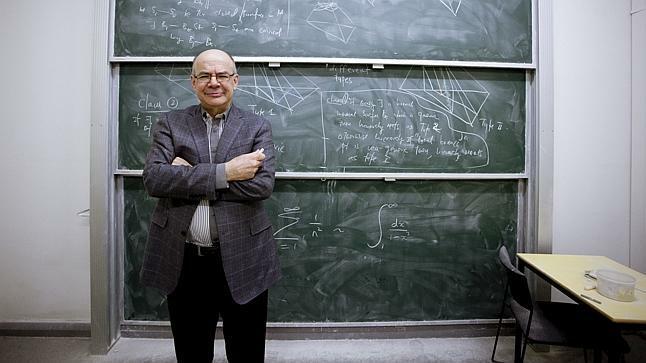 Last year, UNSW started a five-year combined degree in advanced mathematics and commerce. Franklin says 20 students were expected, but 100 turned up. The 2012 cut-off entrance score was 96.40. “They are very, very smart people,” he says.